Nikon now has a confocal imaging solution to suit virtually every research need. From the advanced A1R+ to the modular and flexible C2+ unit, Nikon can configure a confocal system that’s ready to take on virtually any advanced research application. With high-definition wide field of view images larger than 1cm with unprecedentedly high S/N ratios, the AZ-C2+ allows for imaging of whole-mount specimens, such as embryos, in a single shot. 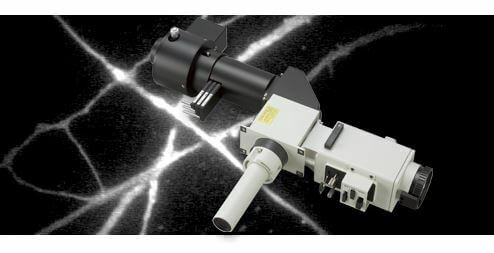 It offers a combination of low and high magnification objective lenses, optical zoom and a confocal scanning zoom function, enabling continuous imaging from macro to micro. Moreover, the AZ-C2+ allows deep imaging of in vivowhole specimens. Newly developed motorized laser TIRF illumination unit allows laser incident angle adjustment, shutter control and switching to widefield fluorescence excitation with the control pad or NIS-Elements software. The Nikon Ti-LAPP system provides modular illuminators for total internal reflection fluorescence (TIRF),photoactivation/conversion, photobleaching and epi-fluorescence.